Recently, there are more and more new products in interior design. 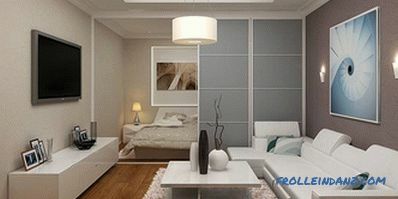 The emergence of new trends in the interior is associated with the introduction of new apartment layouts. 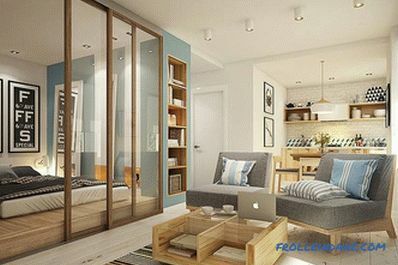 After the appearance of studio apartments, glass partitions in the apartment are gaining popularity. 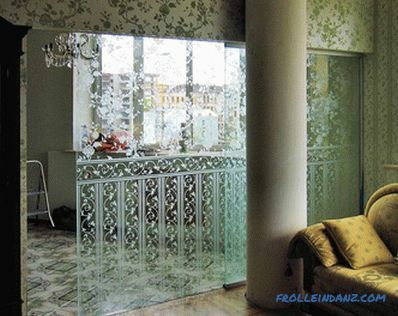 Glass partitions have long been used in the interior of apartments and offices. First of all, because they allow to divide the space into zones and increase it visually due to the reflective properties of glass. 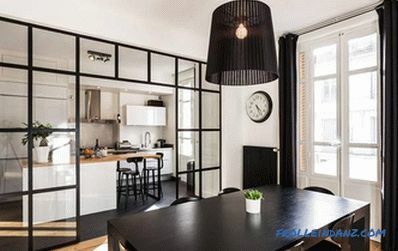 When installing glass partitions, it should be remembered that permission to redevelop the apartment from utilities is not necessary, this fact will also be an undoubted advantage. 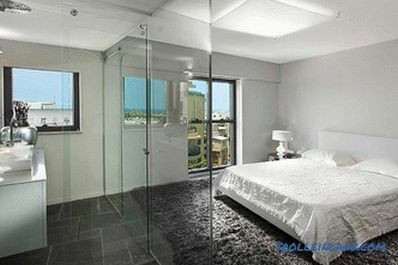 However, the redevelopment of the apartment using glass partitions has its drawbacks. First is the high price. 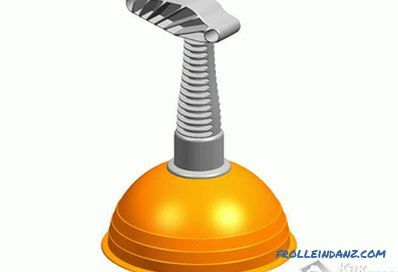 Secondly, the complexity of transportation and the required high accuracy of measurements of parameters before installation. In addition, we must take into account that the transparent glass partitions do not hide what I would like to hide. Their purpose is rather aesthetic. 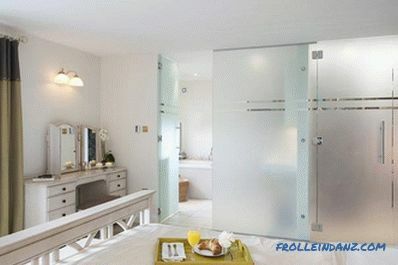 If you need to ensure privacy, you should choose frosted partitions. 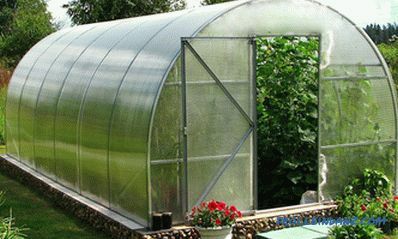 They do not provide a sufficient level of noise insulation and heat insulation. 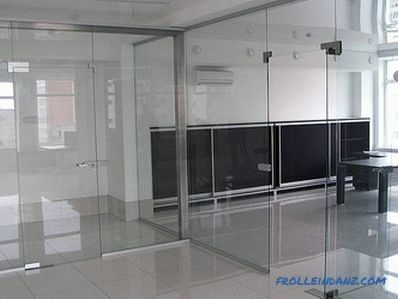 Select the main structural types of partitions from glass - they can be frame and solid. 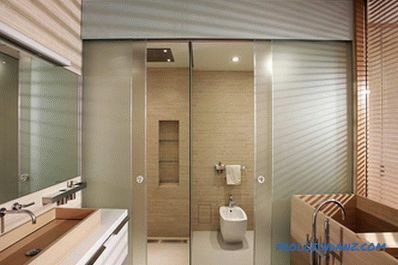 Solid glass partitions create an indescribable effect of airiness, weightlessness. In addition, they have significant strength, which greatly reduces the risk of injury. 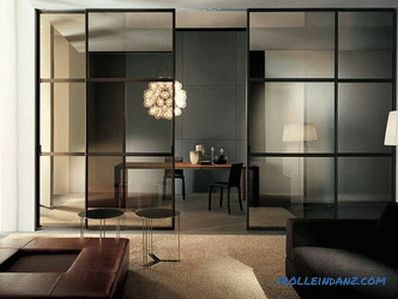 The frame partitions made of glass can be of any size, as they are assembled from modules. 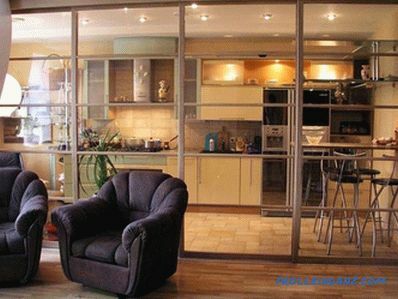 In a glass partition doors can be placed as a compartment, moving in one or two sides, or swing. 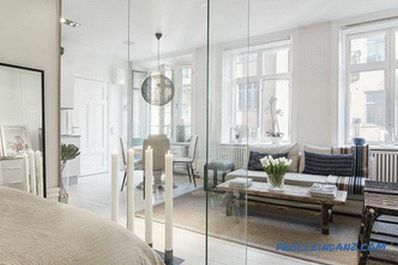 You can use glass partitions in an apartment in different ways. 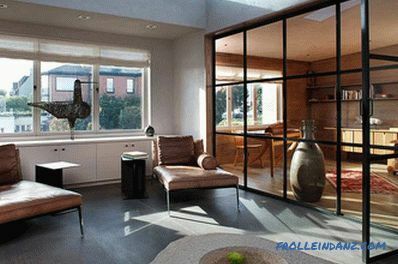 The glass partition can carry the function of a full-fledged interior partition and divide the apartment into the required premises. In this case, sliding (and you can read how to make a sliding partition yourself) and hinged all-glass constructions will be used here. 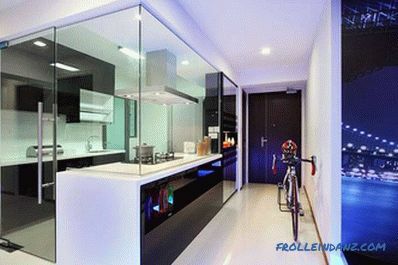 The kitchen, living room or dining room can be separated by a glass partition without the effect of visually reducing space. 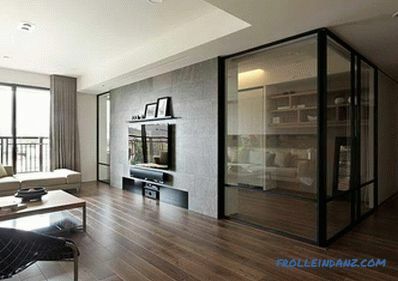 The use of glass partitions for dividing space into zones and for decorating most often takes place when there is a large room. In this case, all-glass static constructions with decorative elements, such as lighting, sandblasted patterns or matte inserts, will be used. 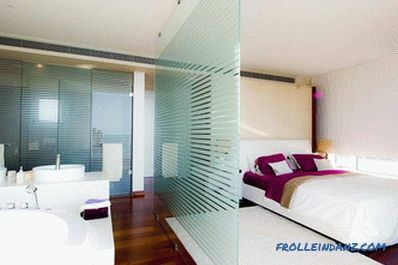 Such glass partitions look very impressive and visually expand the space. 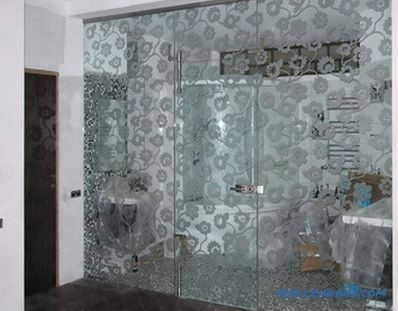 Installation of glass partitions begins first of all , with a careful calculation of the dimensions of the structure under the desired parameters, since the process does not involve re-processing of glass cloth. ensuring a single plane of the walls that are around the opening. When mounting partitions with a pattern, it is necessary to withstand the overall composition using a certain number of panels. 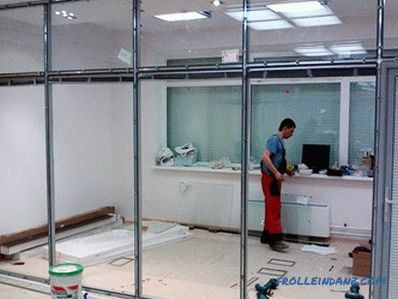 If the glass partition is large or radial, finishing work must be carried out to a very high quality. 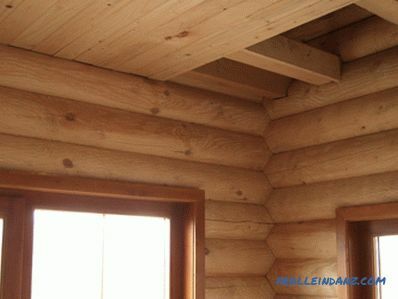 The installation of partitions in a wooden or drywall aperture will additionally require the metal frame frame to be fixed to the supporting walls, in order to avoid their possible collapse. If you correctly take into account all the above features of mounting glass partitions, they will please the customer for many years. 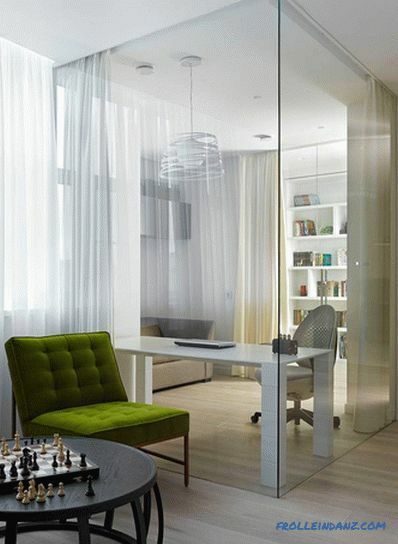 Now in the interior of apartments glass partitions look organically and habitually, but before they were installed exclusively in office space. 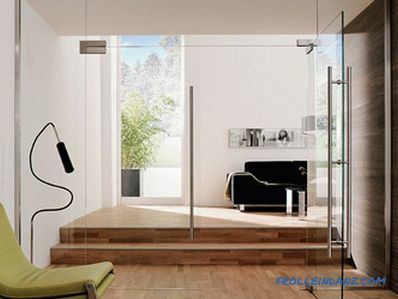 Glass partitions make it possible to achieve the impossible: at the same time isolate themselves from those around them and be close to household members. 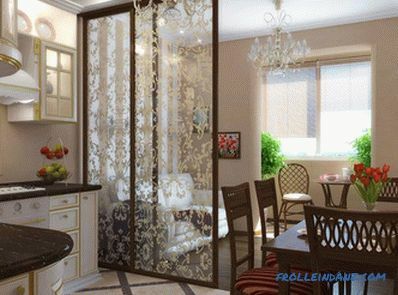 Glass partitions in families with small children are particularly convenient, since the transparency of the partition will allow you to see what is happening behind it, whether there is a reason for worrying. 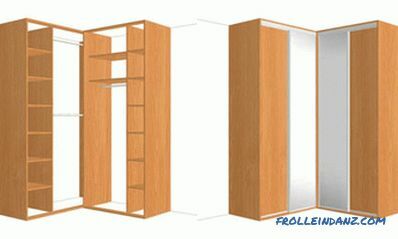 Such partitions will allow you to find a lot of new solutions in the ways of original interior design. Glass partitions with point lights look very stylish, they allow you to simulate different areas of space (read about the zoning methods in this article), focus on some objects and distract from others. Visual weightlessness and transparency of the partitions will transfer this effect to the whole room. 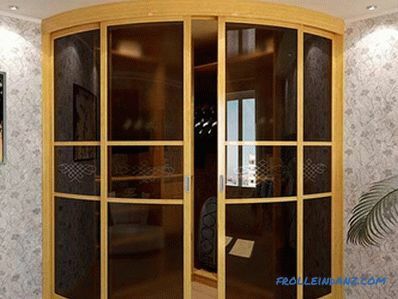 However, it should be remembered that the partitions are made of tempered glass and can be installed even in children, without fear for the safety of the child. If a partition made of triplex glass, for example, is still broken, it will break not into small sharp fragments, but into large ones with rounded edges - it is impossible to get hurt much. 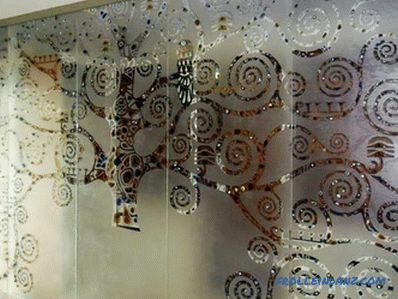 The decoration of glass partitions can be different: sandblasted drawings, stained glass technique, engraved glass, crash technology, built-in lights. The drawings are applied on the glass surface itself, and if a special technique is used, the artist can make them bulky. 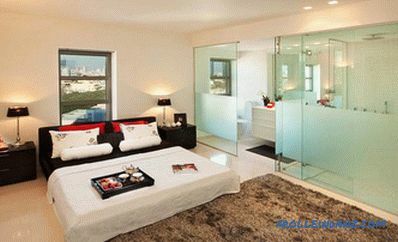 See in our selection how the glass partitions in the apartment look like.